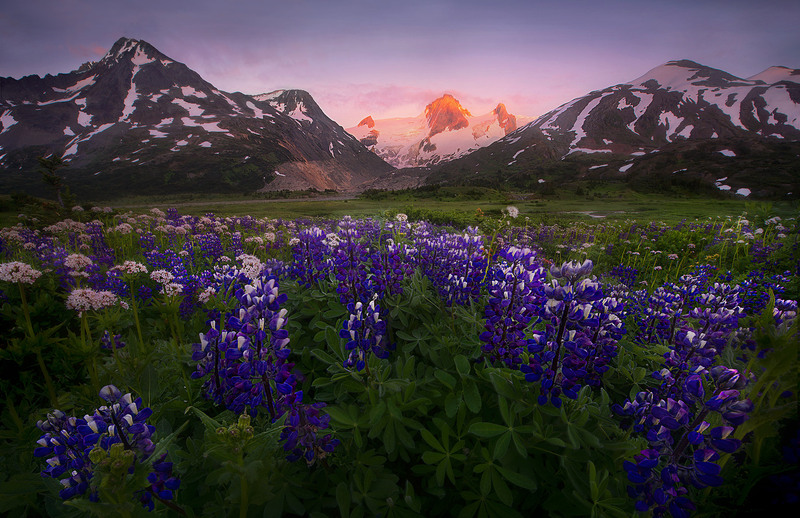 The last light of sunset on a distant glacial peak in the Boundary Range, British Columbia/Alaska. Wildflowers were as abundant in meadows here as any place I've ever seen and made for a rich foreground. Photo © copyright by Marc Adamus.